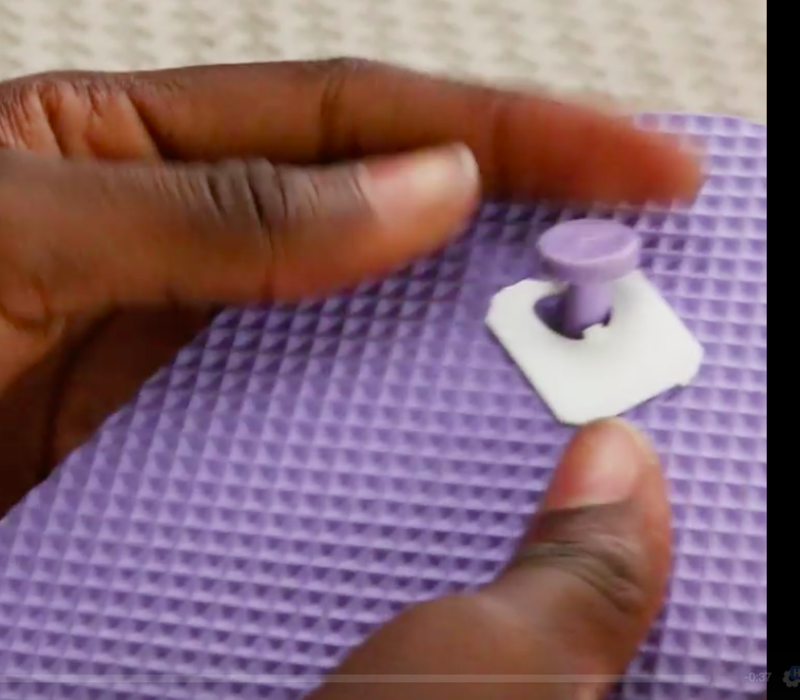 Wanna know how to prevent blisters, fix slippery soles, clean white sneakers, or stretch too-tight heels? You've come to the right place. We've got all those genius shoe fixes and many, many more. 1. 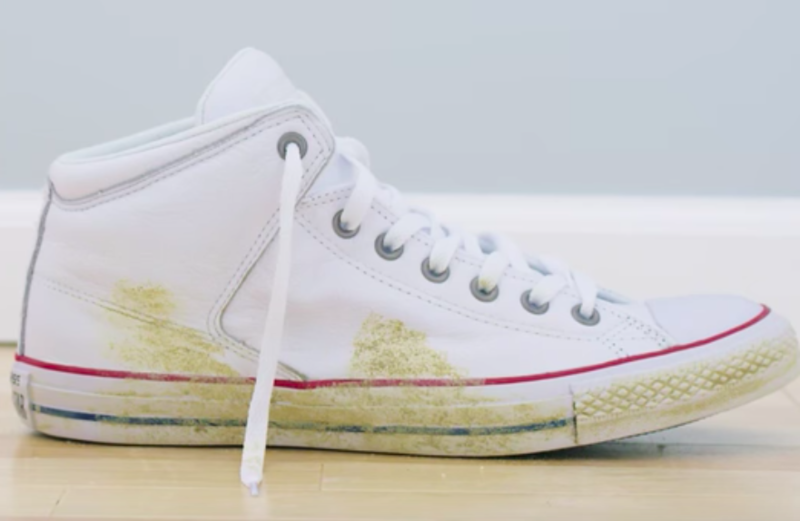 Scrub off sneaker scuffs with an eraser or toothpaste. Get a three-pack of super-effective Magic Rub erasers (my personal faves) from Amazon for $4.84 or Walmart for $3.77. 2. Give well-worn stilettos new life by popping on some heel replacement caps — no need to consult a cobbler. When the metal nail shows through the bottom of your heel, it does more than make your favorite pumps a little less cute — it can also make them more noisy and wobbly. These caps can be applied instantly (no glue needed) and will solve all those problems in one fell swoop. Get a set of four from Amazon for $9.99 (available in four size combinations for different heel thicknesses and in two colors). 3. 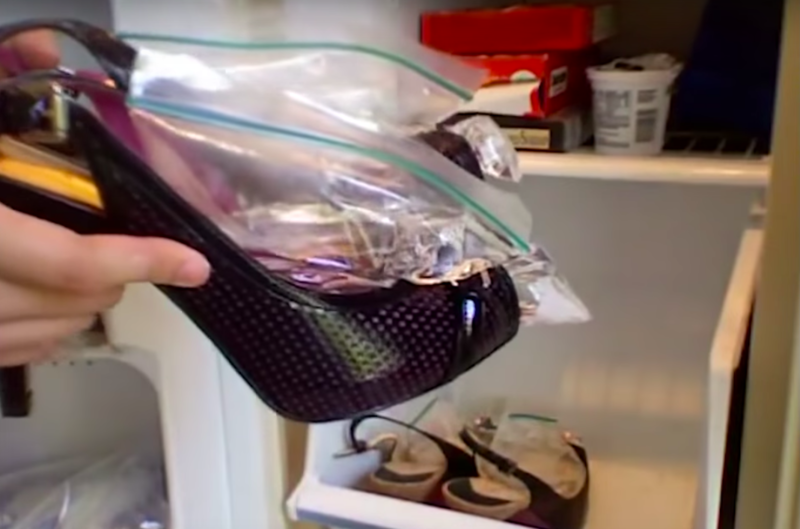 Stretch out pinchy shoes by filling quart-size plastic bags about a quarter of the way with water, placing one in each shoe, then putting the shoes in the freezer until the water turns to ice. Let the ice thaw for around 20 minutes before trying to remove the bags so you don't accidentally damage your kicks. 4. Avoid the tragedy of having a pair that felt great in the store feel like little torture chambers by 3 p.m. on their first day out by going shoe shopping at night or in the afternoon. Your feet tend to swell as the day wears on, especially if you do lots of walking. You want your shoes to be comfy all day, not just when you first get dressed. Hitting the store later will give you a more accurate feel for the fit. Just fasten these babies to the inside of your sneaks, and suddenly your lace-ups become slip-ons. They have plenty of stretch, and you trim them to fit the length you need, so one size works for everyone — even kids. Guess you memorized that shoelace tying song from SpongeBob for nothing. Promising review: "These are fantastic for airport security or if you're just too lazy or busy to tie your shoes. Once you get them to fit the way you want, you'll never have to worry about them again. You'll want them to fit perfectly before you trim them to size, so take your time. I recommend lacing them with your foot in the shoe (with socks), then standing up and walking around a bit to see if they're too loose or too snug. If you're worried about adjustment later, just don't cut them too short. 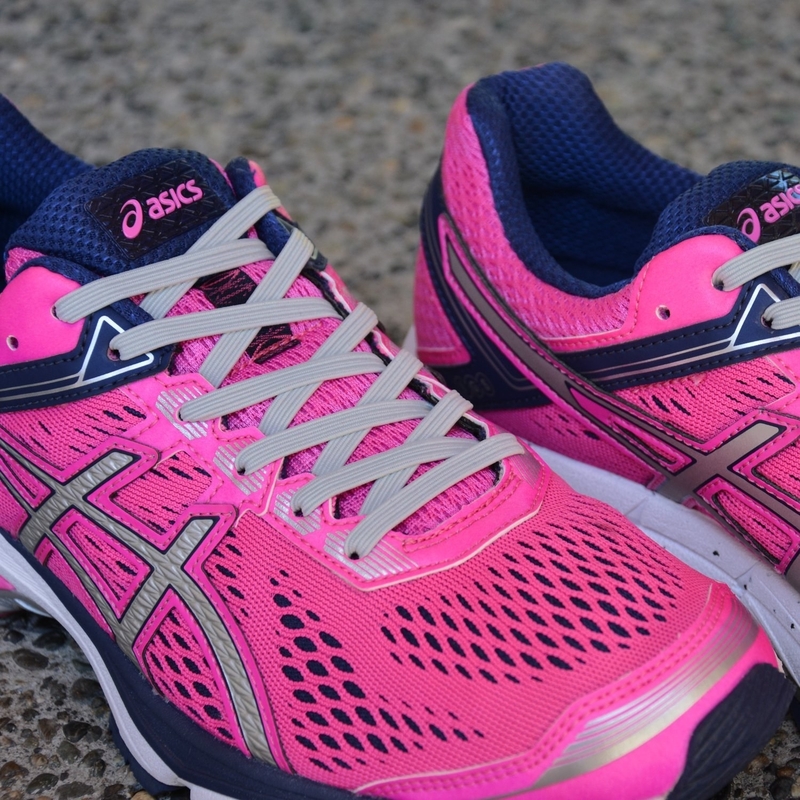 I've worn these all day on numerous occasions and haven't experienced any discomfort." —Jer L.
Get them from Amazon (available in 44 colors). 6. 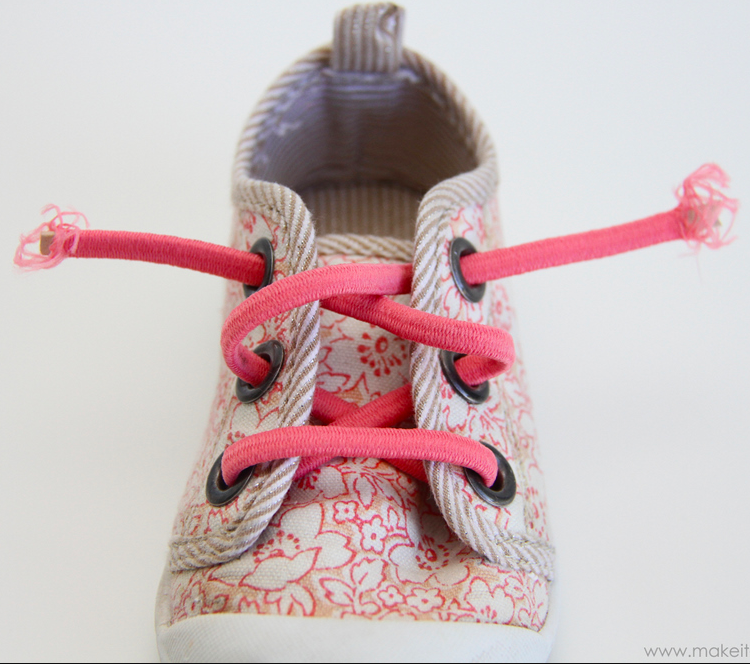 Or, if you like the look of having your shoes tied in a nice, neat bow, make your own no-tie laces by replacing regular shoelaces with some elastic cord sewn to the tongue. 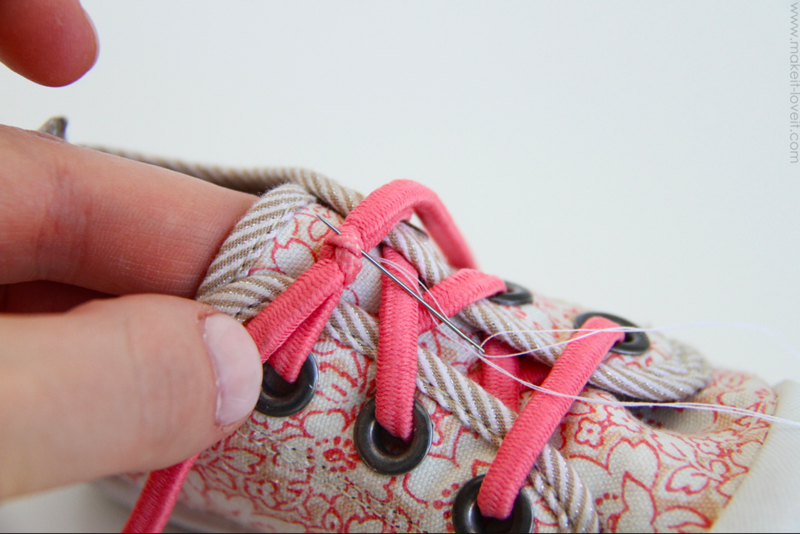 Then, reattach just the bow of your old laces. No one will be the wiser. 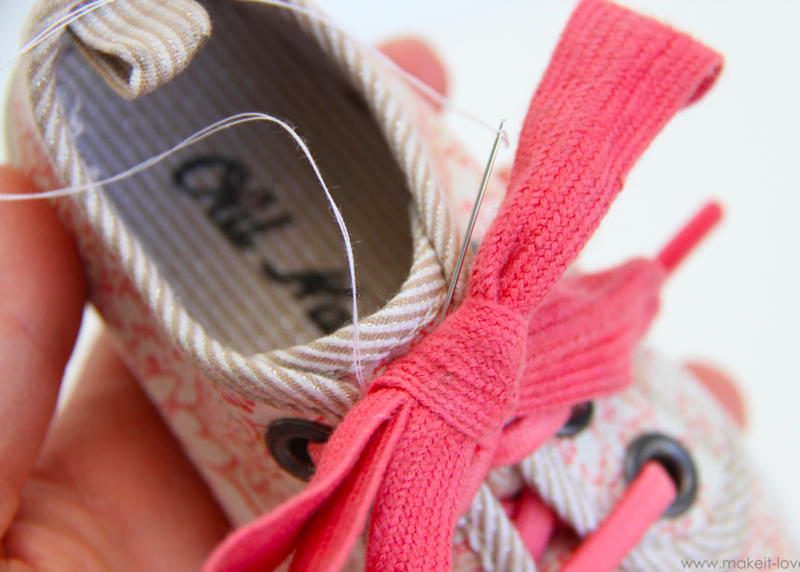 Get the full tutorial (which is for kids shoes, but works just as well for adults who hate dragging shoelaces) from Make It & Love It. Get thick elastic cord from Amazon for $3.14 or Walmart for $2.90. 7. Use bread (yes, bread) to scrub stains off of suede. Weird but true. Just make sure to do it over a sink or trash can, because as you can see above, things can get crumby. 8. 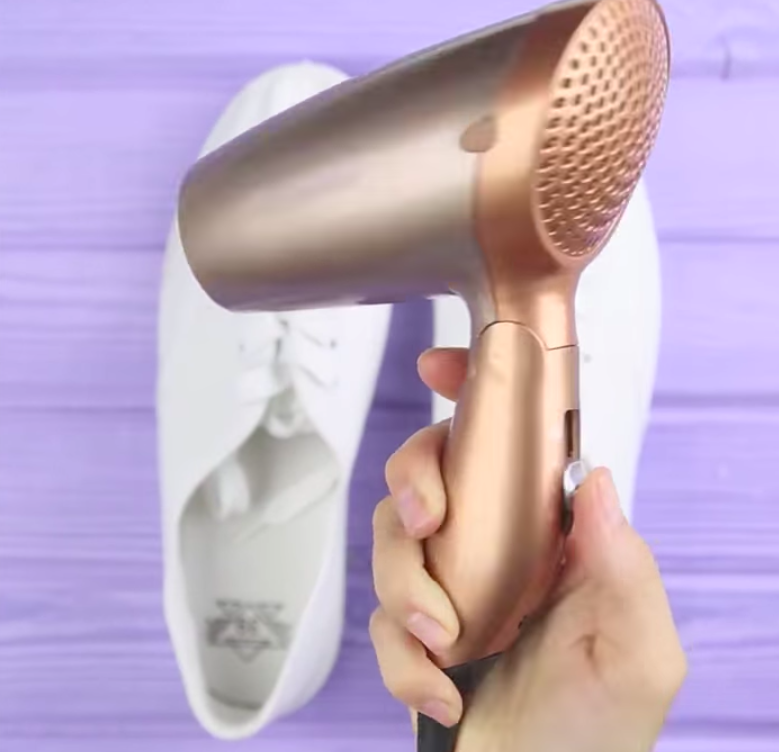 Forget fancy treatments and sprays and instead waterproof your shoes by rubbing them with a small candle, then using a hairdryer to set the wax coating. Make sure the wax layer is nice and thick. Get a pack of 30 small candles from Amazon for $5.99. 9. If leather shoes do get wet, fill them with crumpled newspaper as soon as you get home to absorb the moisture. 10. 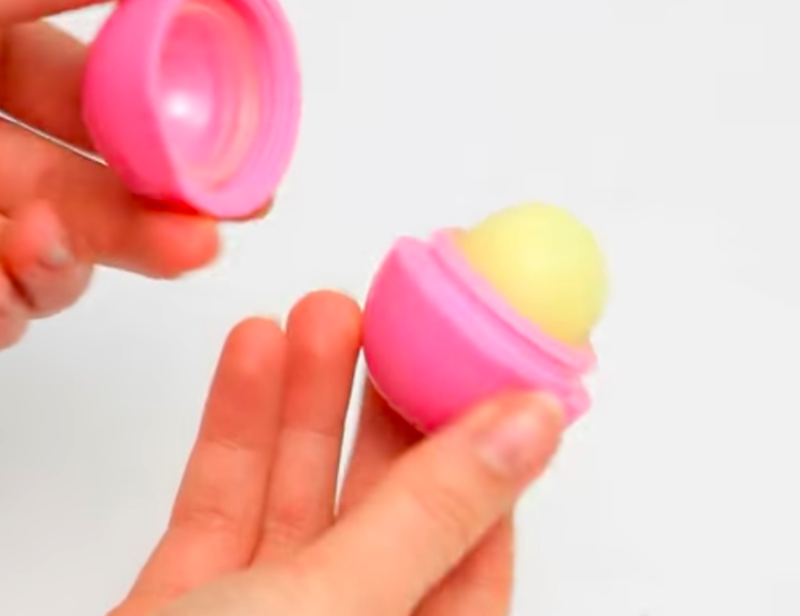 Use lip balm as blister balm — just apply some to any areas that are prone to blisters before you head out the door. Get a three-pack of lip balm from Amazon for $10.87 or an individual tube from Walmart for $2.96. 11. Or spritz on some PreHeels, a special spray that dries to create a strong, protective barrier around your foot to prevent blisters for up to six hours. 12. Make walking in tall heels less miserable by taping your middle and fourth toes together, which will relieve pressure on a sensitive nerve in your foot. 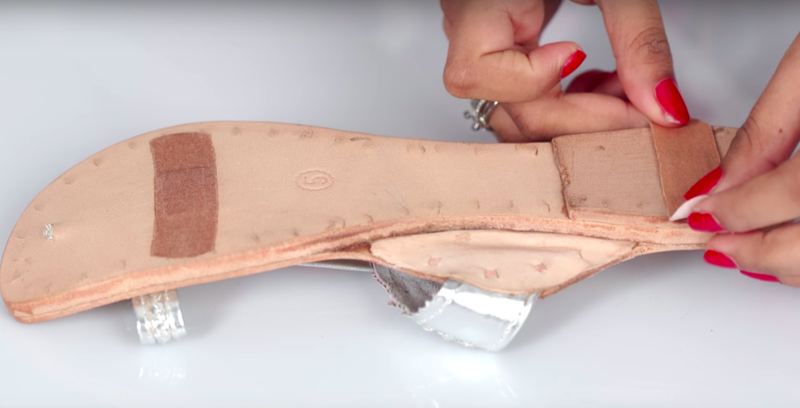 See how this and other heel hacks worked for BuzzFeed writer Chelsea Marshall here. Chelsea used Scotch tape, but you can get some comfier medical tape from Amazon for $3.38. 13. Sick of an old pair? Attach a pretty appliqué to some blank shoe clips to turn simple shoes into a major statement. In fact, make several so you can swap 'em out for a unique look every time. You may never have to go shoe shopping again. Get a set of 10 blank shoe clips from Amazon for $8.99, some heavy-duty craft glue from Amazon for $7.95, and an assortment of sparkly buttons to get you started from Nsupplies on Etsy for $12.80. 14. Know what size you are in other countries with a handy (or should I say foot-y) conversion chart. You'll never be stumped while shopping again. Get a printable version from Gubba. 15. 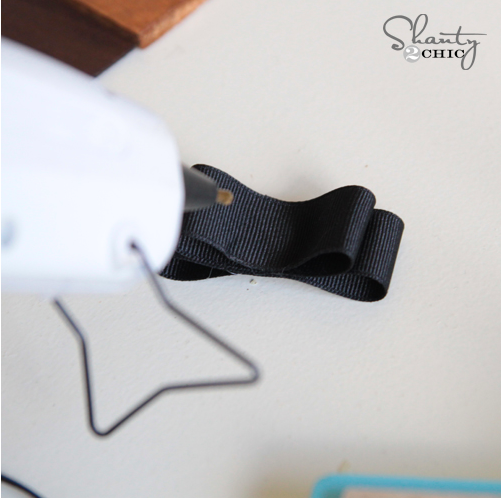 Use a bread tag or a flat washer to reattach a loose flip-flop strap. Get flat washers from Amazon for $4.72. 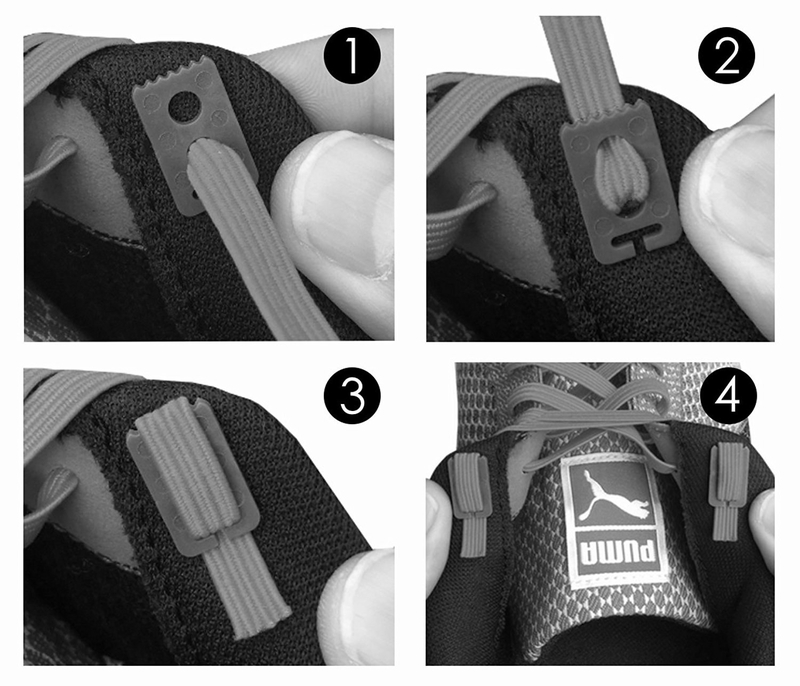 You can also use 'em to hold shoelaces in place — find out how here. 16. Make walking in heels outdoors way easier with a pair of heel protectors to prevent your stilettos from sinking in the grass and gravel. These little miracle workers can also help with many other common heel woes. They can prevent skinny heels from snagging long dresses and provide more stability by giving heels a wider base (plus, the bottom is anti-skid). They'll also make walking on cracked sidewalks, wooden decks, and other uneven surfaces less perilous. You may even want to keep them on inside! Get a pair from Amazon for $9.99 (available in heel thicknesses XXS–M). 17. Remedy slippery soles by affixing a couple adhesive bandages or even a fun glitter glue design to the bottom of your shoes. Both options will provide some much-needed traction to your soles. With the bandages, make sure you trim the edges to fit so no extra material flops over the sides. With the glue, get creative! Write your name, a mantra, draw a doodle. Or maybe write the names of your enemies so you can stomp them into the ground every single day. Just an idea. Get a set of 16 glitter glue pens from Amazon for $6.44. 18. Banish grody odors by putting tea bags in your shoes. Not only do the bags themselves smell nice, but they'll absorb all of your kicks' gross emanations. 19. Or make your own all-natural deodorizing spray by mixing equal parts rubbing alcohol and apple cider vinegar, plus a few drops of tea tree oil. The tea tree oil doesn't just attack the odor itself, but also addresses the root cause of the smell — it has anti-fungal and anti-bacterial properties. Get apple cider vinegar for $8.74, rubbing alcohol for $8.82, and tea tree oil for $6.99, all from Amazon. Get a mini spray bottle from Amazon for $3. 20. 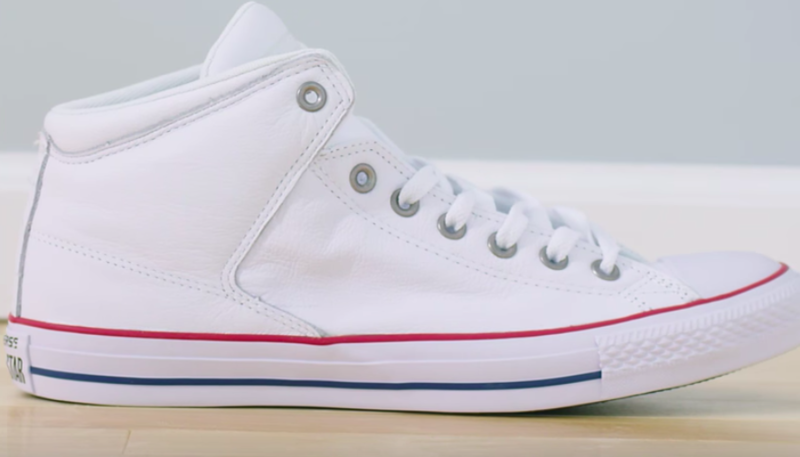 Restore white sneakers to their former, glistening glory with a Mr. Clean Magic Eraser. As someone who never wants to buy white sneakers because I think they'll be destroyed after one wear, this is a total game changer for me! 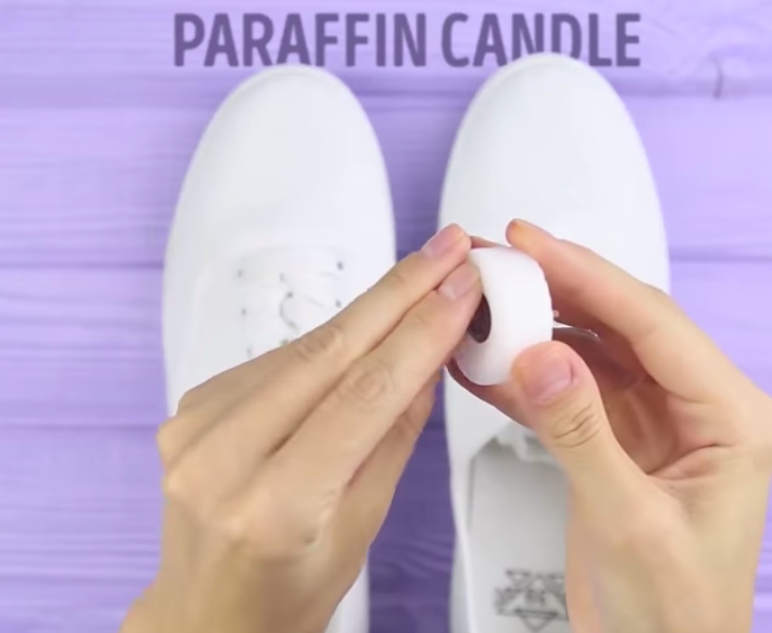 Find this and more genius shoe and clothing hacks here. 21. Get squeaky shoes to STFU by sprinkling some baby powder inside. Remember that episode of SpongeBob (how many references can I make in one post?) where SpongeBob's squeaky boots slowly drive everyone to insanity? Do you want that to be you? Didn't think so. Get a 4-ounce bottle of baby powder from Amazon or Walmart for $1.92. 22. 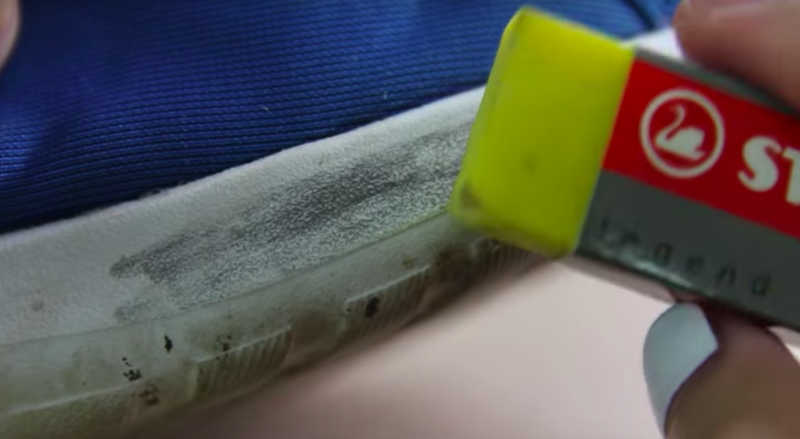 Extend the life of a well-worn pair by patching holes and peeling spots with Shoe Goo. 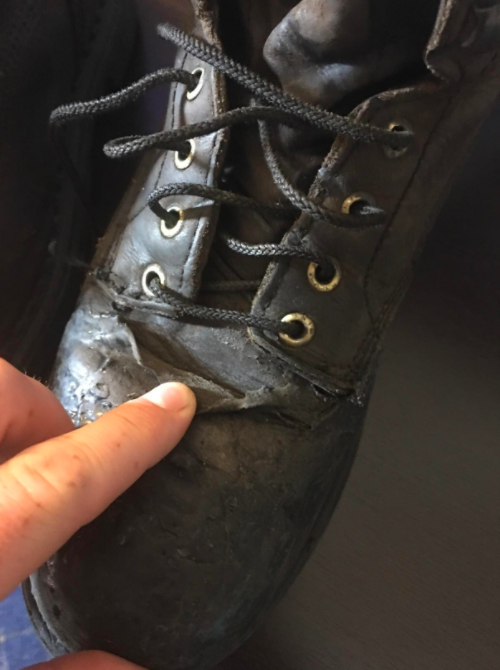 This special footwear adhesive works on leather, rubber, and canvas, and can be used to do everything from fixing frayed laces to reattaching loose insoles to repairing holes. 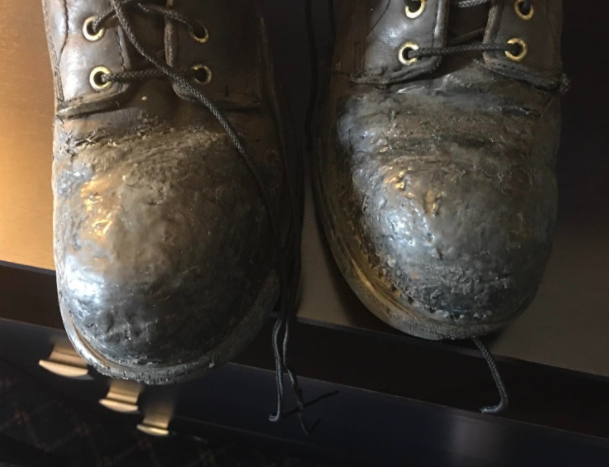 Since it feels like tough rubber when it dries, you can also use a generous amount to level out and rebuild a worn-down heel. Get it from Amazon for $5.64+ (available in two colors). Popsicle sticks can be a good way to carefully and precisely apply the goo, and you can get a set of 100 from Amazon for $4.77. 23. And finally, now that you know how to care for your shoe collection, invest in a clever way to store them, like this roomy and versatile shoe rack. Because there's no such thing as too many shoes. This rack can hold up to 36 pairs, is easy to assemble, and has collapsible bars to give you the option to store taller boots. Plus, thousands of shoe addicts swear by it — it has over 2,500 positive reviews on Amazon. Find even more shoe hacks here and here.